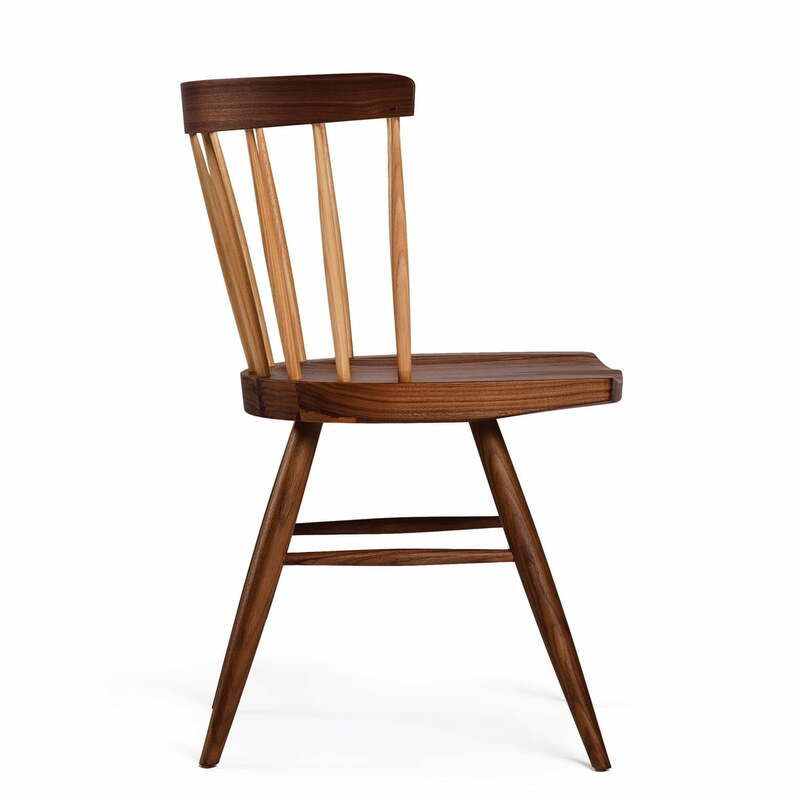 The 1946 by George Nakashima designed Straight Chair is a classic today. 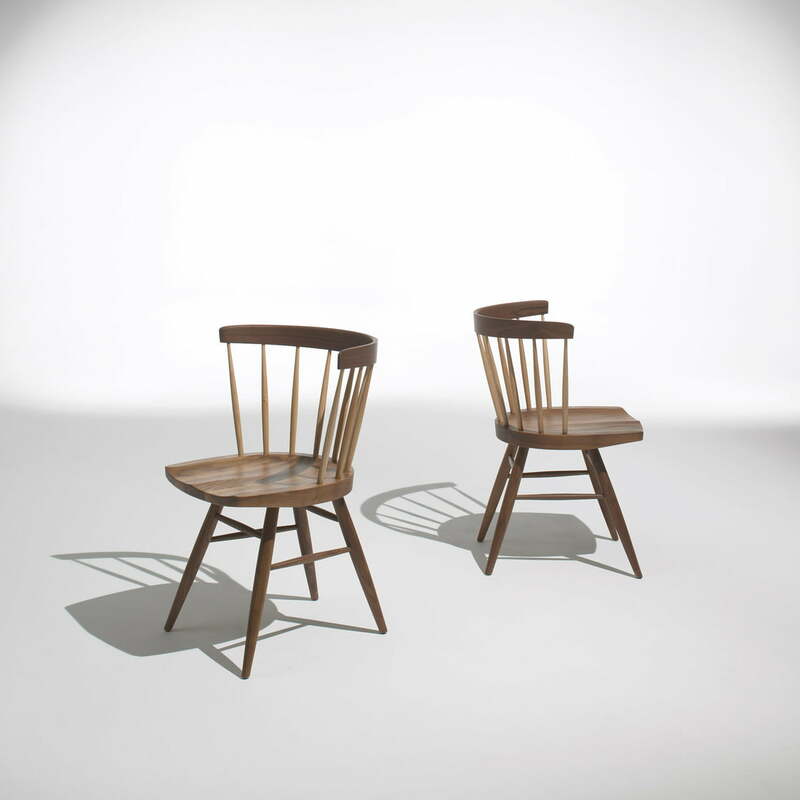 The chair by Knoll is a sensual image for artistic skills of American Japanese designers with its natural, matt glossy surfaces and vivid grain: Nakashima is considered a pioneer of American handicraft. The frame of the Straight Chair is made out of massive American walnut wood. The feet and struts consist of Hickory wood. The surface of the Knoll Straight Chair is glossy matt thanks to the special treating and the nylon sliders ensure safe ground-contact. 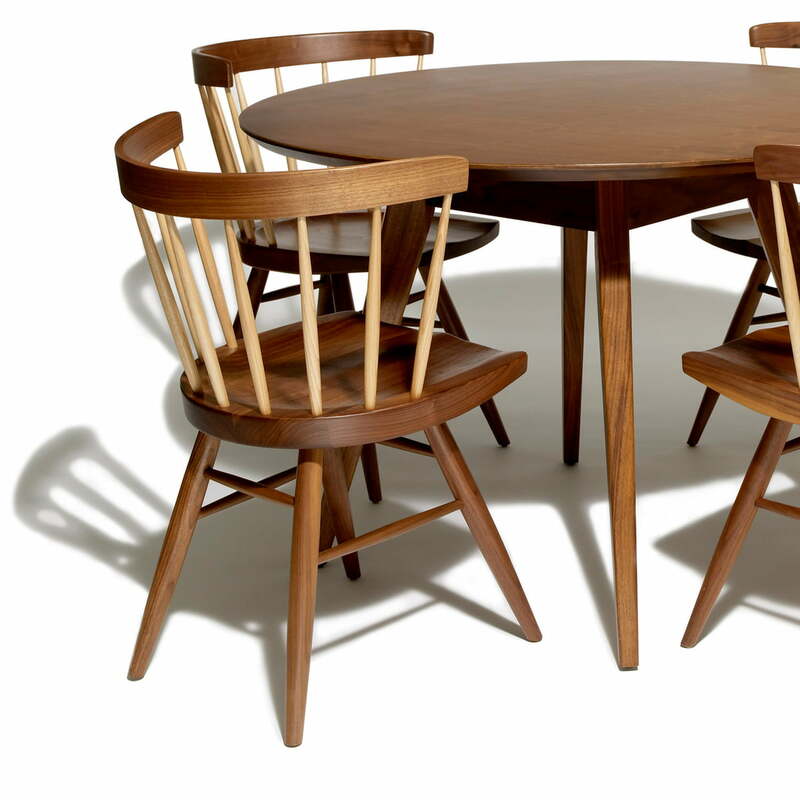 Every classic made by George Nakashima has the signature of the designer on the bottom of the seat. 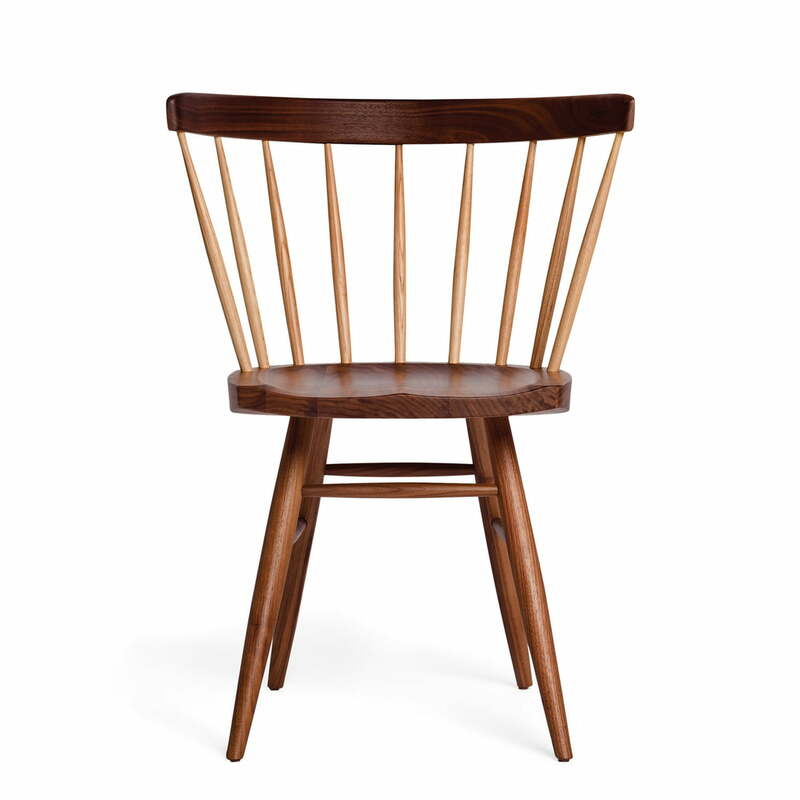 The contrasts between frame and backrest are characteristic for the designs by George Nakashima, The American walnut wood displays its natural intensive colour, from chocolate brown up to grey and dark honey tones. 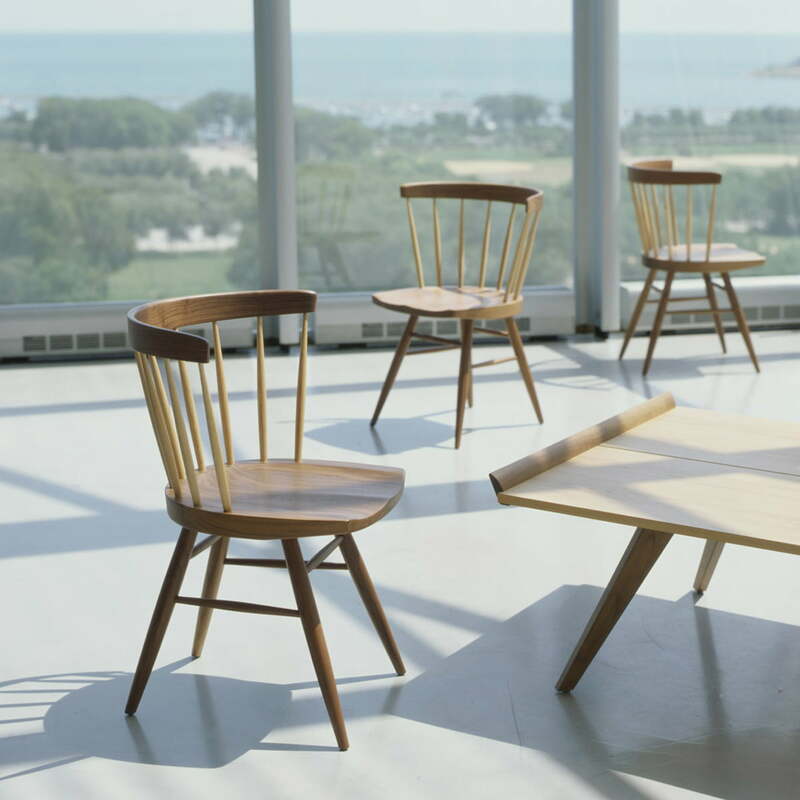 The colour variations of the chair by Knoll become more even with the passing time.